Having to come to the surface regularly for oxygen makes dolphins great for reliable viewing. But doesn't it sound a little exhausting? As humans understand it, sleep tends to involve a level of unconsciousness that would seem dangerous to aquatic mammals. We reached out to the Dolphin Research Center in Florida to find out how they're able to sleep without drowning. Senior Education Instructor/Handler Noelle Belden explains that first you have to understand that dolphins are conscious breathers—each breath is an active decision to swim to the surface and open their blowhole, rather than part of a constant "automatic" process like what humans have. So that explains how they keep from drowning, but their sleep adaptation is more than a matter of holding their breath for a really long time. First of all, dolphins don't sleep in one long chunk like humans or other mammals. Instead, they take 15 to 20 minute naps throughout the day and night. 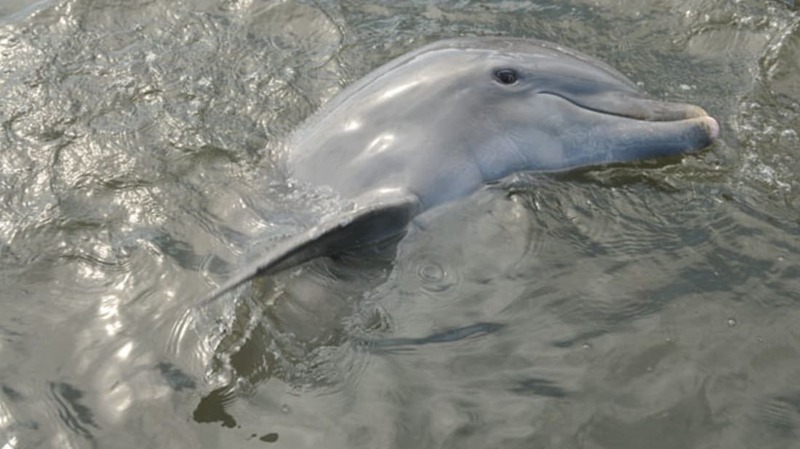 But the biggest factor in dolphin sleep is their brain doesn't rest all at once like humans' do. "Scientists have discovered that instead of 'falling asleep' and entering an unconscious state like humans, a dolphin rests one hemisphere of its brain at a time," Belden explains. "So while one hemisphere is resting, the other is still active so that the dolphin can be sure to open its blowhole above the water." Whichever brain hemisphere is active, the opposite eye will remain open. This is good for both swimming to the surface to breathe and for keeping a look out for predators. As Belden puts it, "Dolphins literally sleep with one eye open." It's impossible to know what sleeping with just half your brain at a time would feel like, and dolphins can't exactly explain it to us. But Belden says that scientists speculate it might be sort of like daydreaming or meditating.